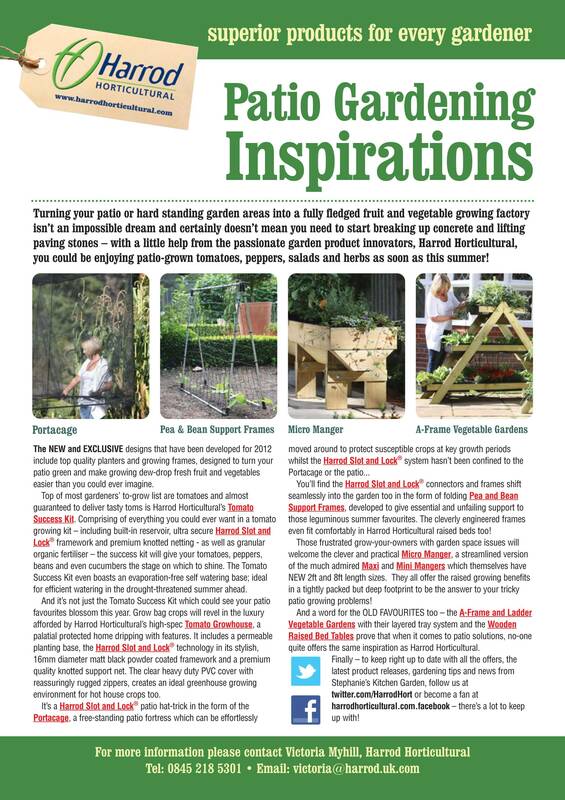 Turning your patio or hard standing garden areas into a fully fledged fruit and vegetable growing factory isn’t an impossible dream and certainly doesn’t mean you need to start breaking up concrete and lifting paving stones – and with a little help from enterprising mail order garden supplies company Harrod Horticultural, you could be enjoying patio-grown tomatoes, peppers, salads and herbs as soon as this summer! 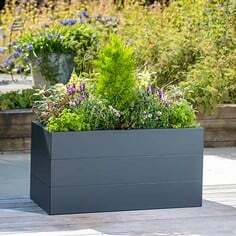 The bustling Suffolk-based garden product designers and manufacturers have recently developed and unveiled a new range of top quality planters and growing frames designed to turn your patio green and make growing dew-drop fresh fruit and vegetables easier than you could ever imagine. Top of most gardeners’ to-grow list are tomatoes and almost guaranteed to deliver tasty toms is Harrod Horticultural’s Tomato Success Kit. 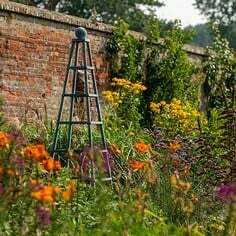 Comprising of everything you could ever want in a tomato growing kit – including built-in reservoir, ultra secure Harrod Slot and Lock® framework and even granular organic fertiliser – the success kit will give your tomatoes, peppers, beans and even cucumbers the stage on which to shine. The Tomato Success Kit even boasts an evaporation-free self watering base; ideal for efficient watering in the drought-threatened summer ahead. 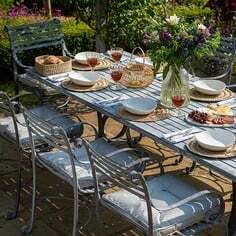 And it’s not just the Tomato Success Kit which could see your patio favourites blossom this year. Grow bag crops will revel in the luxury afforded by Harrod Horticultural’s high-spec Tomato Growhouse, a palatial protected home dripping with features including a clear, heavy duty PVC cover, permeable planting base, reassuringly rugged zippers and utilising the Slot and Lock technology in its stylish, 16mm diameter matt black powder coated framework. 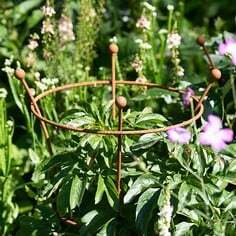 You’ll find the Slot and Lock connectors and frames shift seamlessly into the garden too in the form of folding Pea and Bean Support Frames, developed to give essential and unfailing support to those leguminous summer favourites. 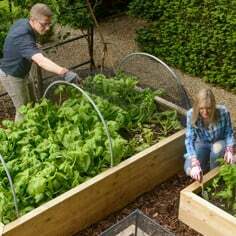 These cleverly engineered frames will fit comfortably in the Lowestoft-based manufacturer’s acclaimed raised beds and will even fold down for easy storage at the tail-end of the growing season. And the on-the-ball family run business have even catered for those frustrated grow-your-owners with garden space issues. The clever and practical Micro Manger is a streamlined version of the much admired Maxi and Mini Mangers and offers all the raised growing benefits of its bigger brothers in a tightly packed 37cm wide footprint. 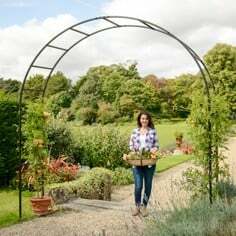 Available in four handy lengths – right up to a very veg/salad/herb-friendly 2.4m long – the Micro Manger is the small answer to your big patio growing problems! 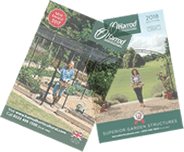 Harrod Horticultural have even found time to embrace the social media revolution and you can keep right up to date with offers, new product releases, gardening tips and news from the Kitchen Garden on their heavily patronised Twitter and Facebook pages. 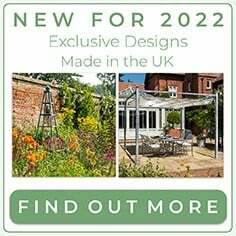 With 1300+ followers on Twitter alone, it seems the technology-embracing garden supplies company are providing an agreeable mix of valuable and topical gardening tips and information a well as developing a patio growing range to make this a summer to remember!